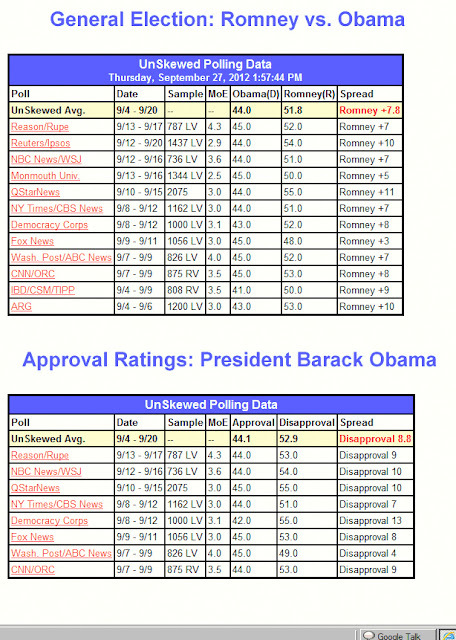 If you don’t like what the polls are saying, what do you do if you are a Republican? You “unskew” the polls. That’s what a new Republican website has done. It seems, according to Republicans, Gallup, NBC/Marist, Quinnipaic/NYT, Survey USA, and even Fox News are all biased because they “skew” Democrat in their sampling. These bad guys are trying to make Romney look bad. So, what to do? Unskewedpolls.com has come to the rescue. These guys take the major national polls and adjust the findings to make sure that the “right” number of Republicans and true Conservatives are represented. 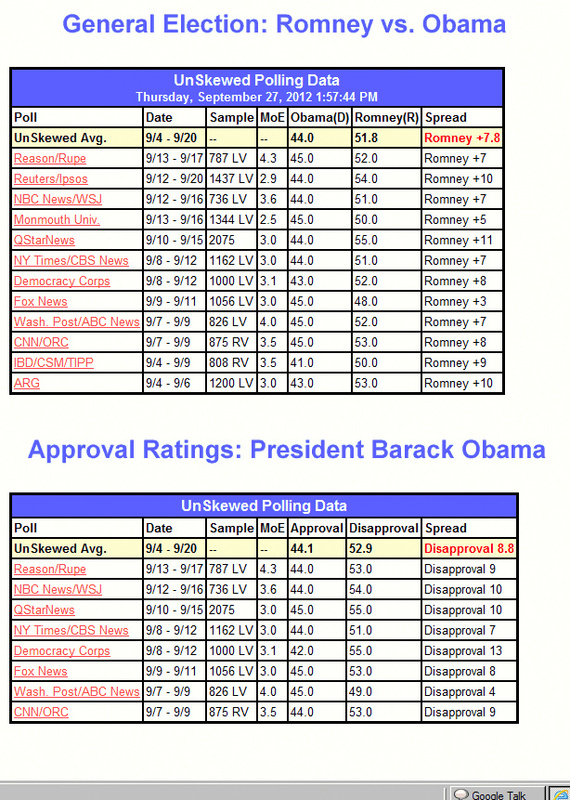 So how does Romney do when the polls are “unskewed?” Pretty good.